Vision Lunar is an atmospheric, psychedelic/progressive black metal band founded by Alexandre Julien in the fall of 2006. The idea came to him on Friday October 6th of 2006 as he got off the bus on his way home from a day of working at a local café. This was shortly after he moved back to Montreal, Canada, where he was originally born. 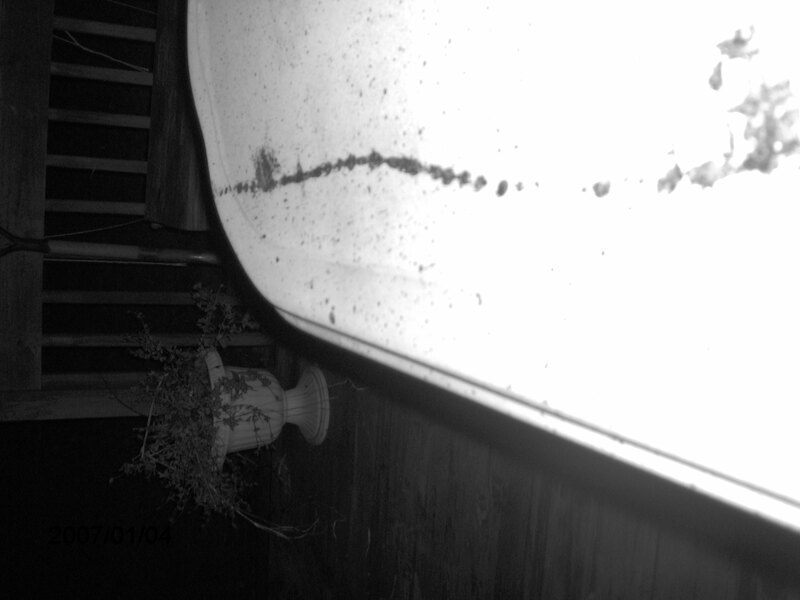 Alexandre noticed the full moon and immediately felt the desire to start a new black metal band, dedicated to the moon’s influence. 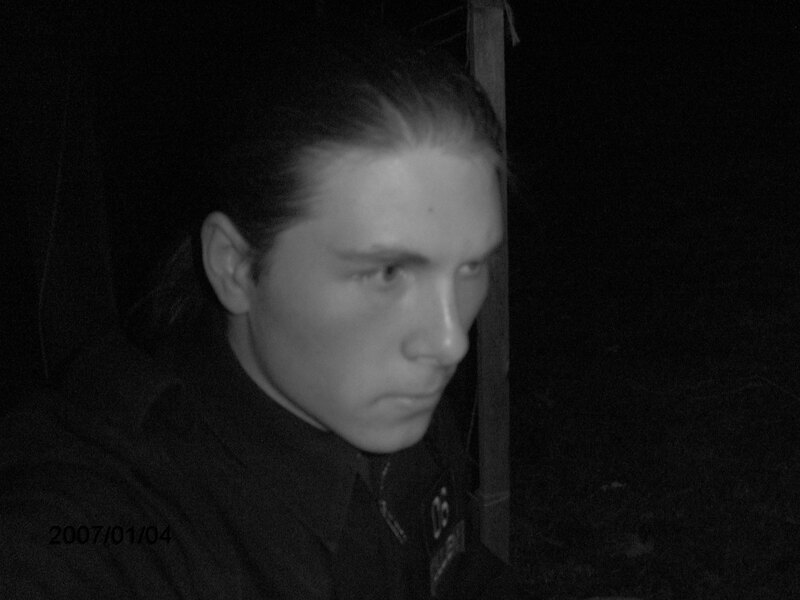 At the time, Alexandre had three other active bands and solo projects; Throne of Mortality, a thrashened black metal band (2005-2007), Vision Sufferance, a dark ambient solo project (2006-present, currently active as Soufferance), and Vision Solitude, a dark folk solo project (2006-2009). Vision Sufferance and Vision Solitude were sister projects, both part of the super-group Triskalyon. Every solo project of each member of Triskalyon was named “Vision something“. So the new project was appropriately named “Vision Lunar”. Vision Lunar’s first logo, designed by Der.Walsch in October of 2006. Alexandre’s new moon-influenced project was planned to be atmospheric black metal, something that Throne of Mortality had started to embrace earlier that year. But the new Vision Lunar material was to be composed in Drop D tuning, compared to Throne of Mortality playing in standard E tuning. Musical influences came from Enslaved, Necrophobic, Nachtfalke and Faith No More. 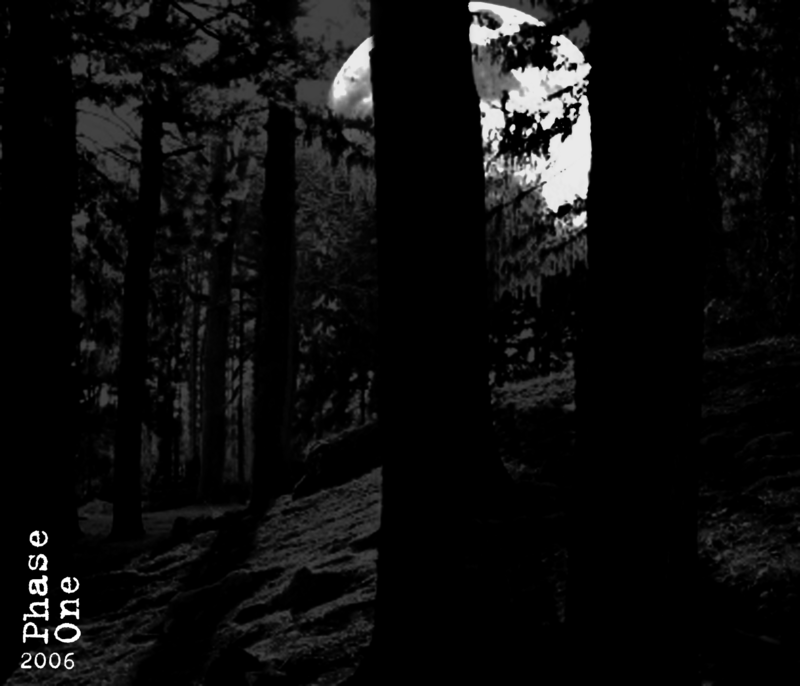 That same night Alexandre recorded the first Vision Lunar song, “La Forêt Enchantée”. It was released, also that same night, through Triskalyon’s own record label Mortification Records, as “Vision Lunar” (catalog MT003). 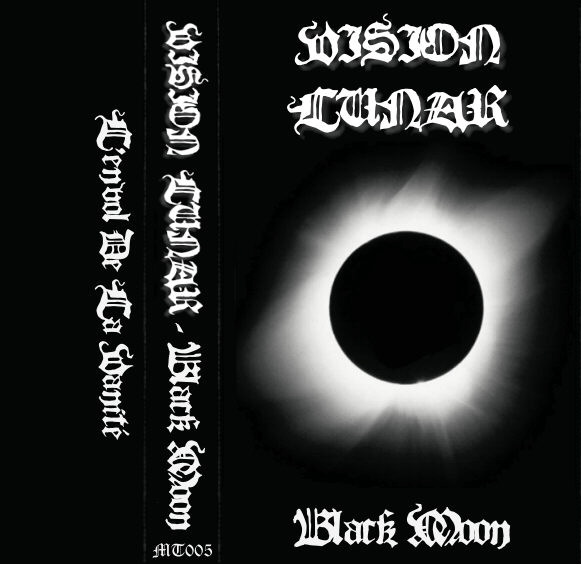 The artwork for Vision Lunar’s first demo was designed by Triskalyon member Der.Walsch, who had previously designed the first two Mortification Records releases for Vision Sufferance and Vision Solitude. The layout was designed to fit a cassette tape jewel case but was released as a free download, offering fans the opportunity to download and dub/print their own Vision Lunar demo tapes. Vision Lunar “Vision Lunar”, Mortification Records (MT003), October 6th 2006. Original artwork design. Vision Lunar “Vision Lunar”, Mortification Records (MT003), October 6th 2006. Remastered artwork version. The Vision Lunar debut demo was a poor beginning and it offered only part of Alexandre’s ideas. It was later in the month that the new project fully developed and branched out in its own direction away from Throne of Mortality, Vision Sufferance and Vision Solitude. 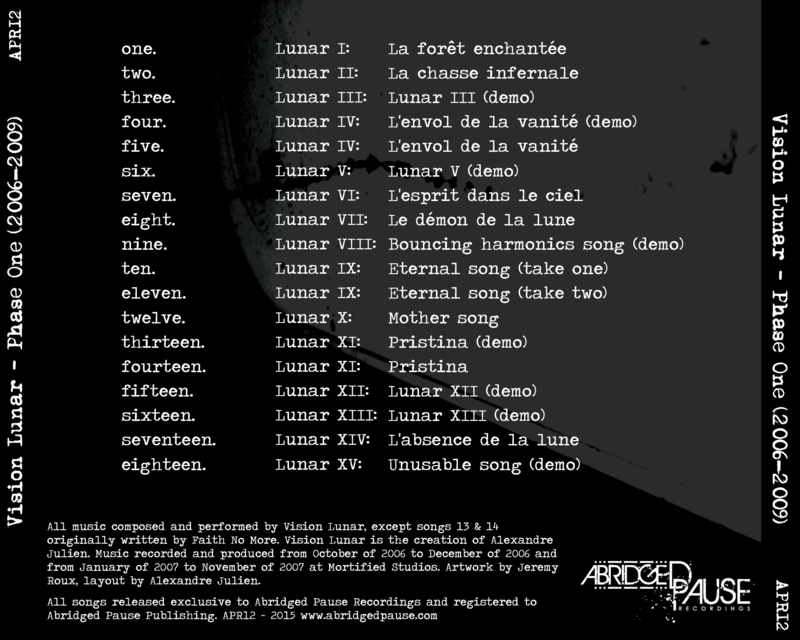 On October 17th of 2006, Alexandre recorded the second Vision Lunar song, “La Chasse Infernale”. It was at that moment that Alexandre decided that he would not release this second demo that very night; but wait until the next full moon on November 5th to release it. “La Chasse Infernale” also set the standard for all future compositions; dual guitars building up a repeating atmospheric riff, in an almost droney fashion, until exploding into a melodic lead towards the end and finishing with a clean guitar outro. This was to be Vision Lunar’s iconic format. Vision Lunar “Lunar Sky”, Mortification Records (MT004), November 5th 2006. Original artwork design. Vision Lunar “Lunar Sky”, Mortification Records (MT004), November 5th 2006. Remastered artwork version. 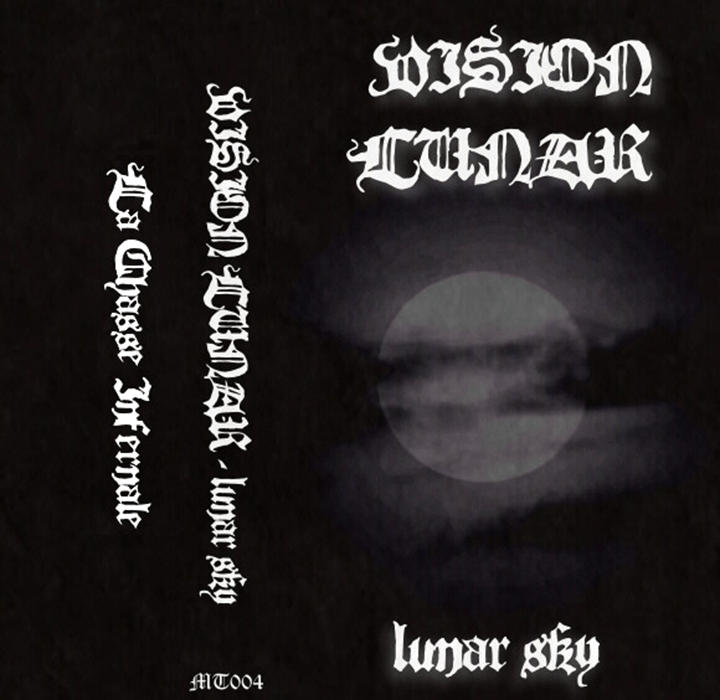 The second Vision Lunar demo, “Lunar Sky”, was released as Mortification Records’ fourth output (catalog MT004) and digitally distributed the same way as the first, with a cassette tape layout. All Vision Lunar demos of 2006 and 2007 would keep the same format. In early November a third Vision Lunar song was recorded as a work-in-progress demo (“Lunar III”) but remained unreleased. Then on November 15th Alexandre recorded a fourth Vision Lunar song, “L’envol de la Vanité”, which he admittedly claimed was influenced by the Necrophobic song “Roots of Heldrasill”. This song was released on the third Vision Lunar demo, intended to be released on the next lunar schedule’s full moon, December 5th. But because Alexandre was visiting family in the New York/New Jersey region, “Black Moon” (catalog MT005) was released a day late. The fifth Vision Lunar song, “Lunar V”, was recorded as work-in-progress demo in late November but also remained unreleased. Vision Lunar “Black Moon”, Mortification Records (MT005), December 6th 2006. Original artwork design. Vision Lunar “Black Moon”, Mortification Records (MT005), December 6th 2006. Remastered artwork version. Alexandre wound up staying in Edison, New Jersey for the next nine months and Vision Lunar became his main focus. But by the first full moon of 2007, on January 3rd, he still hadn’t recorded a new song. Under the pressure to meet his own deadline for a new demo release later that night, and highly influenced by the moon that was out, he recorded and produced a brand new song on the spot. “L’esprit dans le Ciel” turned out amazing. It was a fresh new sound for Vision Lunar, featuring plenty of reverb and a polished production, recorded at Alexandre’s new home-studio, Mortified Studios. The recording session ended up so great that Alexandre also recorded new Soufferance material and laid the foundation for a new ambient/post-rock project which soon after took on the name “Vision Éternel”. 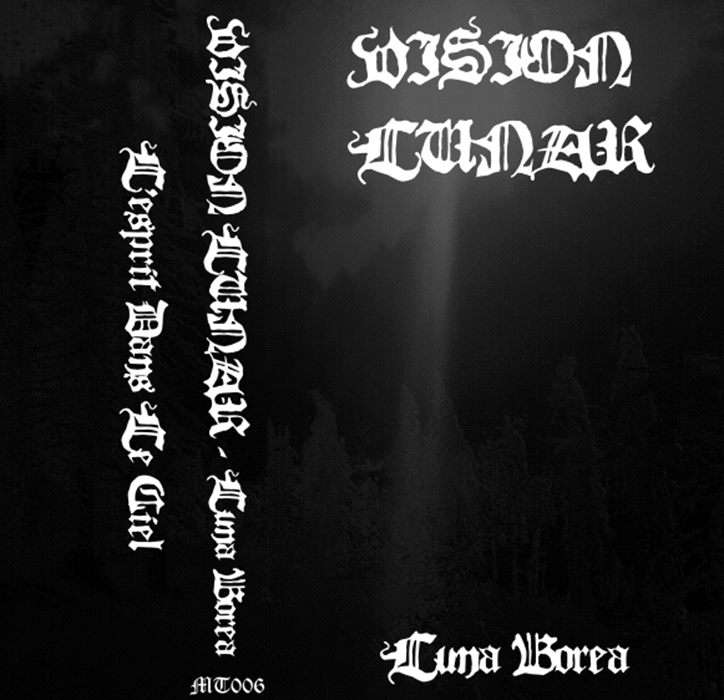 Vision Lunar “Luna Borea”, Mortification Records (MT006), January 3th 2007. Original artwork design. Vision Lunar “Luna Borea”, Mortification Records (MT006), January 3th 2007. Remastered artwork version. Vision Lunar’s fourth demo, “Luna Borea” (catalog MT006) proved to be a sort of one-hit-wonder and turned the page for the project. The sound was so different from the first three demos (and first five songs), that Alexandre deemed this to be the beginning of “Phase Two” for Vision Lunar (the phases would later be redivided). The word “phase” was specifically chosen to reflect the moon’s phases theme. On January 4th he photographed the first Vision Lunar photoshoot and took pictures for the artwork of a special new release he had in the works. Alexandre Julien featured in the Vision Lunar photoshoot, January 4th 2007. Picture for “Phase One – 2006” from the Vision Lunar photoshoot, January 4th 2007. The plan was to release a “collector’s edition” CD compilation entitled “Phase One: Marche Forêstiale (2006)”, regrouping the first three demos from October to December, along with the three unreleased songs, two b-sides and one alternate version, and an audio interview. The package was going to be limited to twenty copies and set for a late January release through Mortification Records. The interview was intended to be conducted by Philip Altobelli, another member of Triskalyon, who had recently been asked to join Vision Lunar as a second guitarist. Jeremy Roux was asked to create the artwork with Alexandre handling the layout. But the interview was never recorded and the compilation never reached the printer. Phil did rehearse a few times on rhythm guitar but never joined the band. The original version of “Phase One” from Janaury of 2007. Front cover. The original version of “Phase One” from Janaury of 2007. Inside booklet. The original version of “Phase One” from Janaury of 2007. Outside booklet with room for hand-numbering. The original version of “Phase One” from Janaury of 2007. CD. The original version of “Phase One” from Janaury of 2007. Inlay. The original version of “Phase One” from Janaury of 2007. Back cover. On January 5th, a Triskalyon Myspace page was created and Vision Lunar’s new demo was uploaded for streaming, followed by a ton of promotion. The mass promotion paid off. “L’esprit dans le Ciel” garnered a great deal of streaming plays on the Myspace page and landed Alexandre his first interview as well as an offer from a shady promotion agency, Dark Angel Promotion. He dedicated his entire time to Vision Lunar, so much so that on January 10th, he announced via a Myspace blog post that Throne of Mortality was going under an indefinite hiatus. The band would never revive. On January 13th, the seventh Vision Lunar song was recorded. 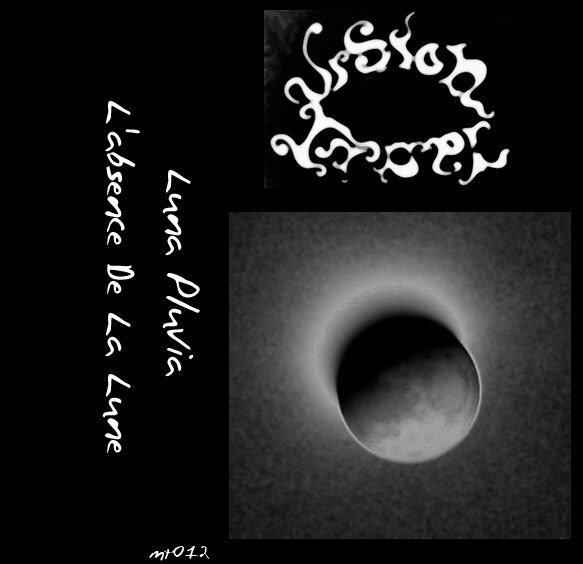 “Le Démon de la Lune” was released February 2nd of 2007 on Vision Lunar’s fifth demo, “Luna Maria” (catalog MT007). This reinforced Vision Lunar’s second phase by having conceptual demo titles, all starting with “Luna”. Der.Walsch was late in submitting the artwork and both his and Alexandre’s computer monitors were dying with the brightness levels fading out. When the artwork was received last minute, neither noticed how bad it looked. Only in 2008 did Alexandre realize that many of Vision Lunar’s artworks were poorly designed. 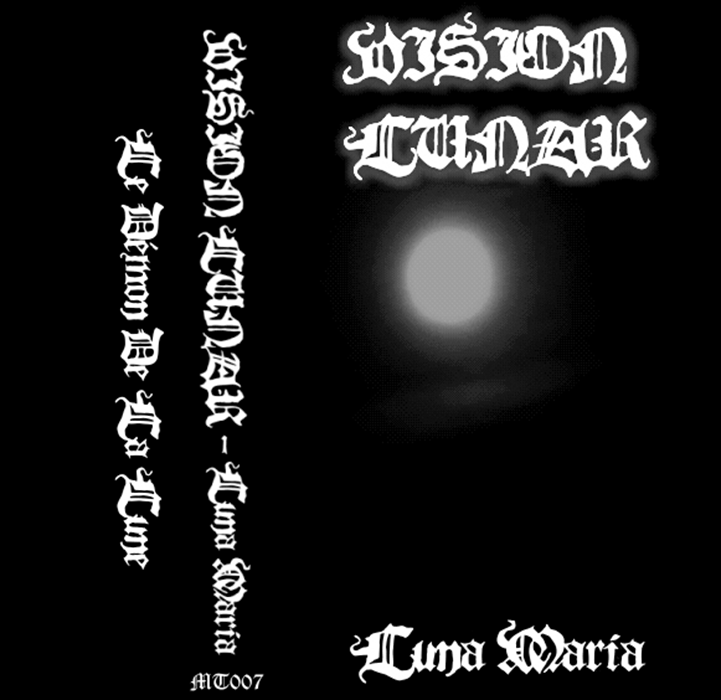 Vision Lunar “Luna Maria”, Mortification Records (MT007), February 2nd 2007. Original artwork design. Vision Lunar “Luna Maria”, Mortification Records (MT007), February 2nd 2007. Remastered artwork version. Unfortunately the artwork wasn’t the only thing receiving criticism. “Le Démon de la Lune” was deemed inferior to “L’esprit dans le Ciel” by fans of the band and it failed to achieve the success of the previous release. In February, Alexandre recorded three more new songs; “Bouncing Harmonics Song” (a work-in-progress demo, originally lost due to poor folder management), “Eternal Song” and “Mother Song”, preparing for the March and April monthly demo releases. But both planned demos were shelved after close friends and members of Triskalyon expressed their disappointment with the new material. “Eternal Song” and “Mother Song” incorporated a lot more reverb (some would now use the term “post-black metal” to describe it) and even Alexandre wasn’t sure where to draw the line between what was Vision Lunar material and what was Vision Éternel material. For a short time he even considered merging the two bands, continuing everything in a heavier version of Vision Éternel. But this idea was dropped when Vision Éternel started working on its second EP in May of 2007. Triskalyon Promo Pack, Mortification Records, March 2007. Front cover. Triskalyon Promo Pack, Mortification Records, March 2007. Back cover. 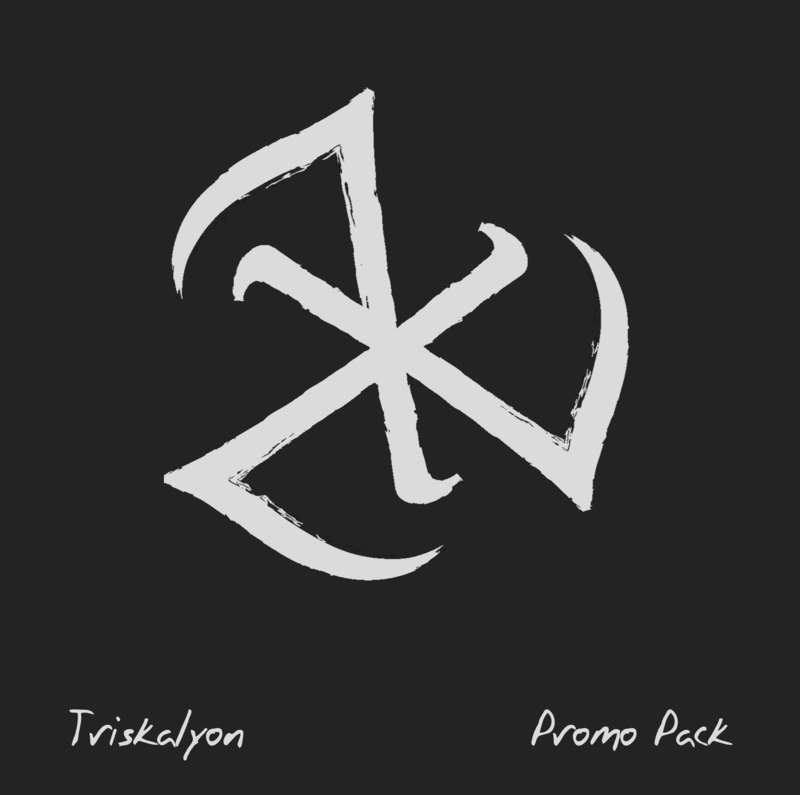 By this time Alexandre was also compiling a various artists compilation titled “Triskalyon Promo Pack”; a sampler exclusively featuring Triskalyon bands. The plan was to present two songs from each of the bands associated with Triskalyon; one was their best released song, the other a new unreleased track. It was to be released in March of 2007 on a limited edition CD through Mortification Records. But due to inner tensions within the super-group, the compilation was slimmed down to only a selection of previously released songs; and from only six of the eleven bands that were part of Triskalyon at the time. It was also only released digitally. Vision Lunar’s “L’esprit dans le Ciel” appeared on it. So many disagreements went on within Triskalyon in February that Alexandre decided to dissolve the circle. As a farewell, he decided to play a prank on the black metal community. His favourite band was (and still is) Faith No More and he was a little offended that all his close friends and the black metal scene was snobbing them. He had promised himself that whatever the case may be, the last Vision Lunar demo would be a Faith No More cover. On February 25th Alexandre recorded the eleventh Vision Lunar song; a cover of Faith No More’s “Pristina” from their 1997 record “Album of the Year”. Vision Lunar “Luna Nebula”, Mortification Records (MT009), March 3rd 2007. Original artwork design. Vision Lunar “Luna Nebula”, Mortification Records (MT009), March 3rd 2007. Remastered artwork version. It was released on March 3rd of 2007, as Vision Lunar’s sixth demo, “Luna Nebula” (catalog MT009). Der.Walsch created the artwork once again but it was so terrible that it was rejected right away and Alexandre redesigned a new one himself. Faith No More was purposely uncredited in order to get an unbiased opinion from the fans. Everyone who heard it loved it and thought that Vision Lunar was back on track with a proper follow-up to “L’esprit dans le Ciel”. When it was revealed that Faith No More was responsible for such a song, no one wanted to believe it. This was the perfect moment to announce that Triskalyon was over. On March 5th of 2007 a Myspace blog post was published announcing the news. It was never mentioned if Vision Lunar, or any other band specifically, was ending. Alexandre simply left people to assume that Vision Lunar was on hiatus by stating that he was taking a break from music. And so Vision Lunar was unheard of for the rest of March until August. Vision Lunar’s second logo drawing by Frederique Rivard. Vision Lunar’s second logo by Frederique Rivard. In mid-May he started recording once again but strictly for a new Vision Éternel EP (which became “Un automne en solitude”, released in 2008). Around this time a Vision Lunar fan from Quebec contacted him and offered to design a new logo for the project. Vision Lunar was technically still on hiatus but Alexandre agreed, hoping to use the logo on a potential future release. The new logo by Frederique Rivard was received on May 30th. In late July of 2007, Alexandre was preparing to move back to Montreal for good. He also re-tuned one of his guitars to Drop B and started composing songs for a metalcore band, “Human Infect”. In this tuning, he also composed some death metal pieces, which were for another project, “Projection Mina”, and a new atmospheric black metal song that seemed to perfectly fit Vision Lunar. With this new tuning, Vision Lunar fell into its third phase, reviving from a six-month hiatus. The first new Vision Lunar song, “Lunar XII” (erroneously titled “Lunar VIII” due to poor folder management) was composed while Alexandre was still in New Jersey. As soon as he moved into an apartment in Montreal at the beginning of August, he started tracking the song with a work-in-progress demo. He was hoping to have a final recording of the song ready in time for September 26th’s full moon, in order to release Vision Lunar’s seventh demo. But he quickly realized that he was having major recording equipment issues. He wasn’t able to get a decent sound and trying to mix it was going nowhere. So the song and plan for a demo was shelved. The same thing happened with “Lunar XIII” (erroneously titled “Lunar IX” due to poor folder management) and October 26th’s demo was also cancelled. In early November of 2007, Alexandre composed Vision Lunar’s fourteenth song, “L’absence de la Lune”, which was highly influenced by Nachtfalke’s track “Doomed to Die”. Mortified Studios was still having issues with recording equipment and software but Alexandre liked the new song so much that he decided to release it anyway, even with sub-par production. Vision Lunar’s seventh demo was finally released. Vision Lunar “Luna Pluvia”, Mortification Records (MT012), November 24th 2007. Original artwork design. 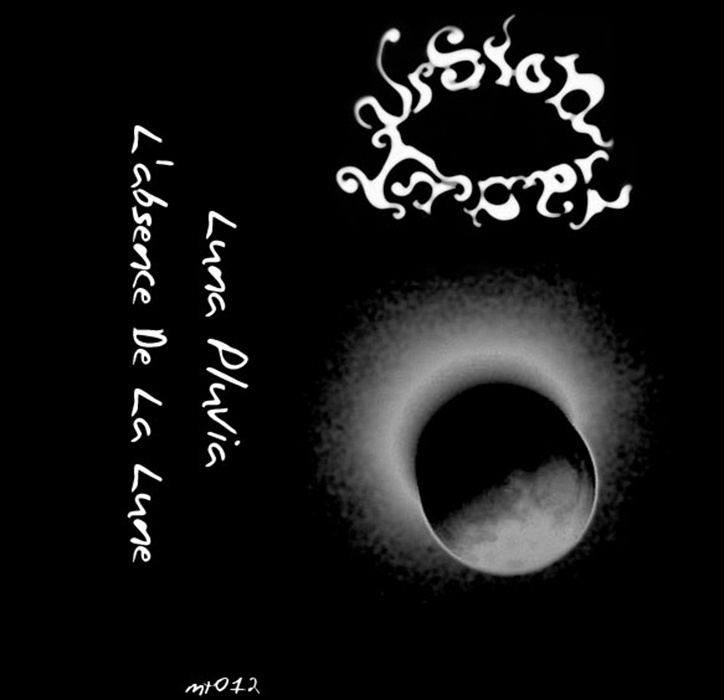 Vision Lunar “Luna Pluvia”, Mortification Records (MT012), November 24th 2007. Remastered artwork version. The rush to release the new demo came in part by the desire to build Vision Lunar from a solo project into a full band. Alexandre was looking for a bassist, a drummer and potentially a second guitarist, all of whom would exchange backing vocal duties, if ever needed (to add an extra element of atmosphere). The new demo, “Luna Pluvia”, was intended to be released on November 24th of 2007, through Mortification Records (catalog MT012). Everything was ready to go but Alexandre was called to go work in New York City for a month and left on the day that the demo was supposed to be released. Before leaving for New York City, Alexandre started demoing Vision Lunar’s fifteenth song, hoping to have an eighth demo to release in December or January. But he soon realized that the song sounded far too similar to Alcest’s compositions “Le Secret” and “Élevation”. Alcest’s 2005 EP had been a big inspiration while composing the Vision Lunar songs, “Eternal Song” and “Mother Song” in February of 2007 so it had likely seeped into Alexandre’s subconscious. The new song, referred to as the “Unusable Song”, was shelved permanently. It was only after coming back to Montreal in late December that Vision Lunar’s seventh demo was properly distributed online. Alexandre handled the artwork and layout himself but because of his dying computer monitor, he didn’t realize how bad it looked until much later. 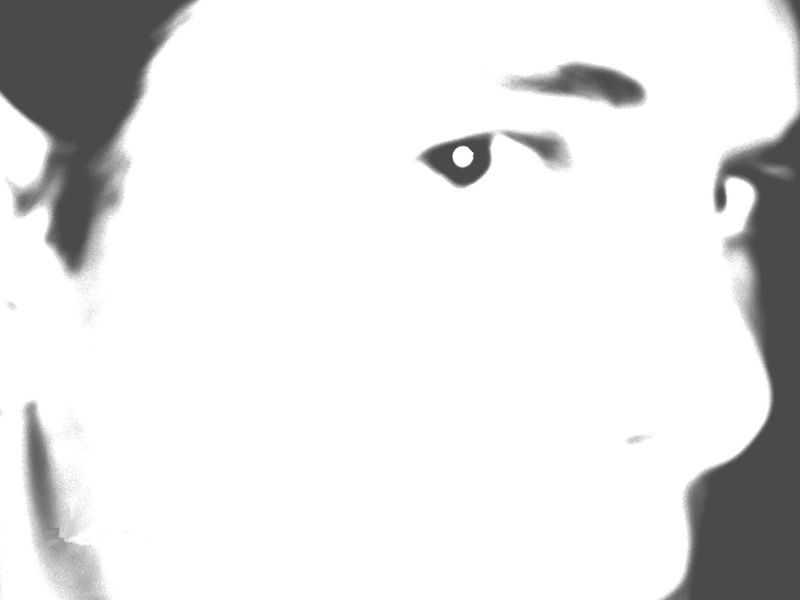 To promote the new demo a Vision Lunar Purevolume page was created on December 28th of 2007. When it came time to find band members in the new year, the first person that Alexandre asked was Josh McConnell (from the heavy metal band Mad Parish and the Iron Maiden tribute Brave New World) who worked with him at a bar across the street from where he lived. Josh was to play guitar but after a single rehearsal it was obvious that the pair had a poor music match. So Josh referred him to Mike Dyball (from Priestess) who showed great interest in making the project happen. Alexandre was also considering changing the band’s name, had it ever expanded to a full line-up. He was also planning to re-record all of the released demos for a planned full-length album. Before Mike got to jam with Vision Lunar, Alexandre moved into a new apartment in a different part of the city. He then became busy writing an EP for Human Infect and it was half a year later that he contacted Mike again to set up a rehearsal for Vision Lunar. But by then Mike was busy writing Priestess’ sophomore album, “Prior to the Fire”. Due to complications and the extensive writing of that album, and disputes with their record label RCA Records, Mike had to back out of Vision Lunar. 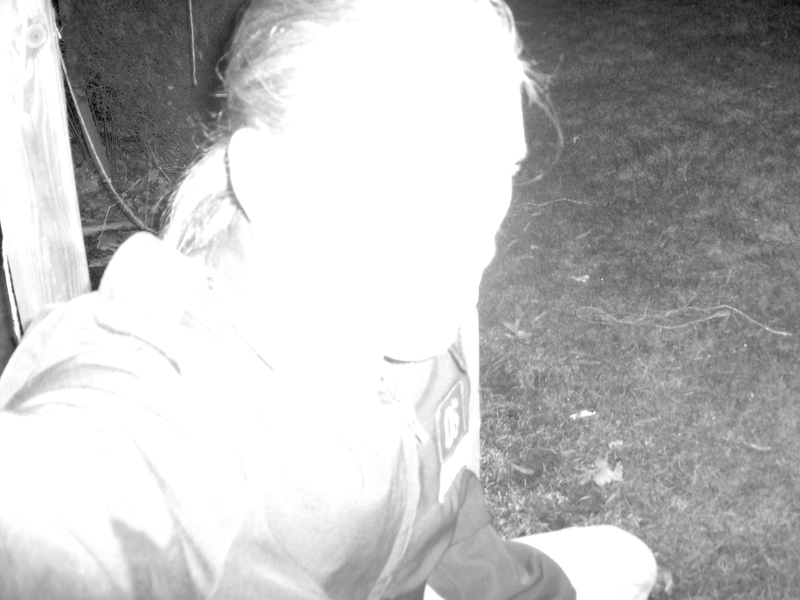 In a last attempt to find new band members, Alexandre created Vision Lunar’s own Myspace page on September 9th of 2008. He spent the next few months posting ads and asking every metal-head he knew. But his resources in the Montreal metal community were limited and the city did not have a strong black metal scene. By 2009, Alexandre had given up completely on Vision Lunar. The Myspace page’s final status update read “This moon is dead”. On August 27th of 2010 the Francophone metal blog, WTF Metal Music, published an article as part of their “Black Friday” series, reviewing the works of Vision Lunar. Alexandre was forwarded this blog post and was impressed that people were still talking about Vision Lunar, almost three years after the last demo had been released. He contacted Marc Andrew Landles and Marc-André Girard, the two guys who operated the website, to find out more about them and how they heard about Vision Lunar in the first place. They all hit it off instantly and Alexandre wanted to thank them by creating something special. He immediately started putting together a Vision Lunar discography to offer them. 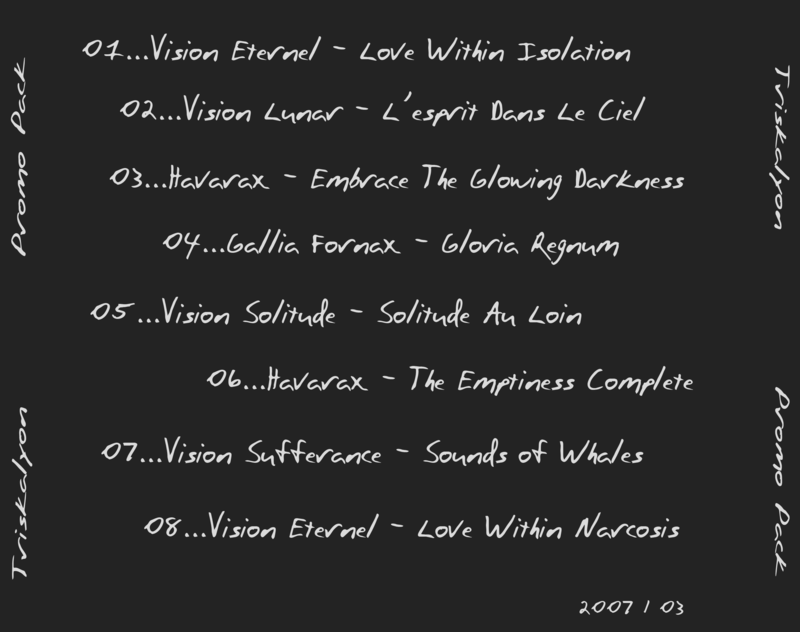 The unreleased compilation from January of 2007, “Phase One: Marche Forêstiale (2006)”, came back into the picture, only this time it was upgraded to feature every recorded Vision Lunar song. 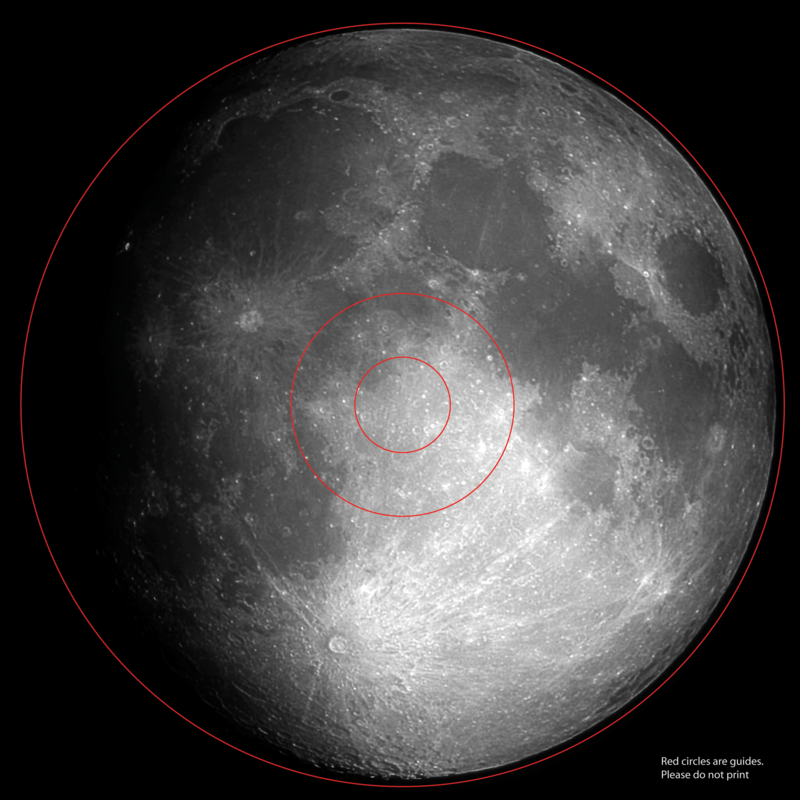 The name was changed to “Phase One (2006-2009)”, thus ignoring the earlier pre-divided Vision Lunar phases. The same artwork designed by Jeremy Roux was recycled and the layout was updated. This time even fewer copies were planned to be made. Alexandre was hand-making these and only decided to make five copies, which were distributed between himself, Marc Andrew Landles, Marc-André Girard, Philip Altobelli and Alex Luca, who was, at that time, the bassist in Alexandre’s post-blackened sludge metal band, Lanterns Awake. Vision Lunar “Phase One (2006-2009)”, Mortification Records (MT017), October 6th 2010. Front cover. 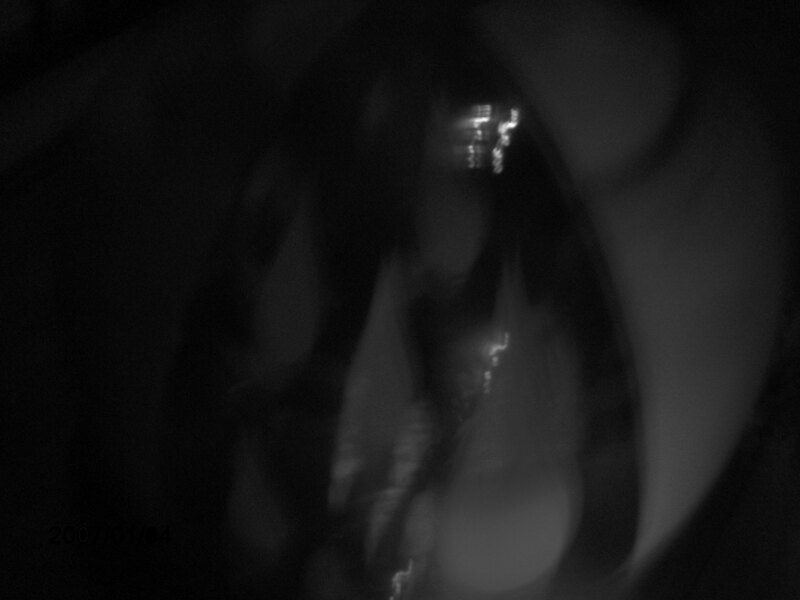 Vision Lunar “Phase One (2006-2009)”, Mortification Records (MT017), October 6th 2010. Back cover. On September 9th, Alexandre gave the artwork masters to his roomate for her to print them out at UQAM’s art lab on heavy-stock paper. The next day the albums were put together in jewel cases. The back side of the insert was spray painted black, with a small white space left over where Alexandre would autograph them. The CD-Rs were also spray painted black but the initials VL had previously been painted on with Liquid White-Out. 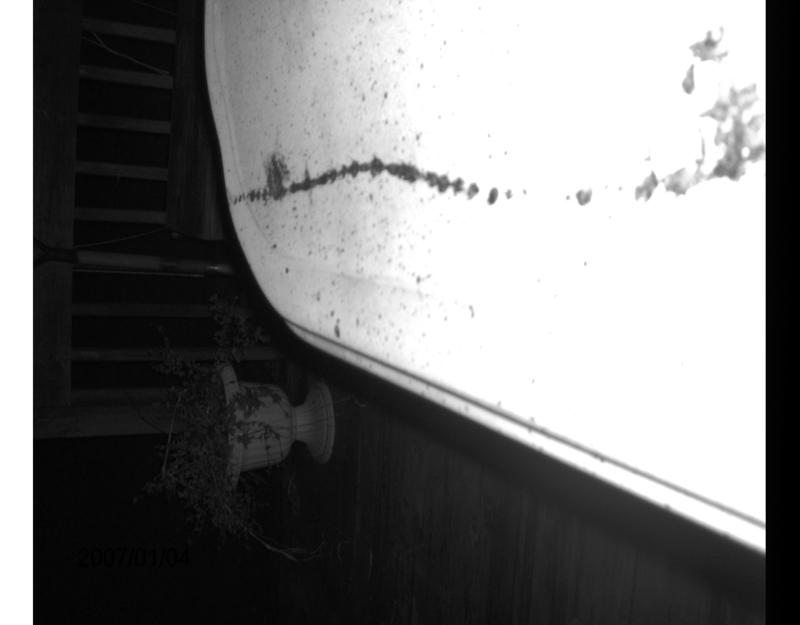 So when the black spray paint covered it, the white embossed lettering cracked through like decaying paint. 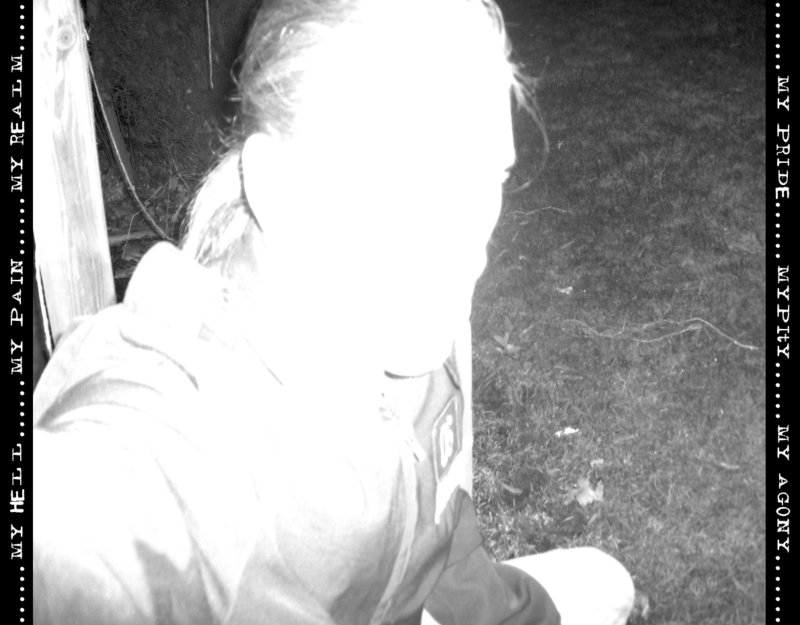 Although Alexandre had put Mortification Records to rest in 2008 to start Abridged Pause Recordings, he had revived it only two weeks prior to release a couple of Lanterns Awake demos. It seemed appropriate that Vision Lunar’s discography also be released by Mortification Records, its only home for all the demos. It was released with the catalog number MT017 and was the final release by Mortification Records. 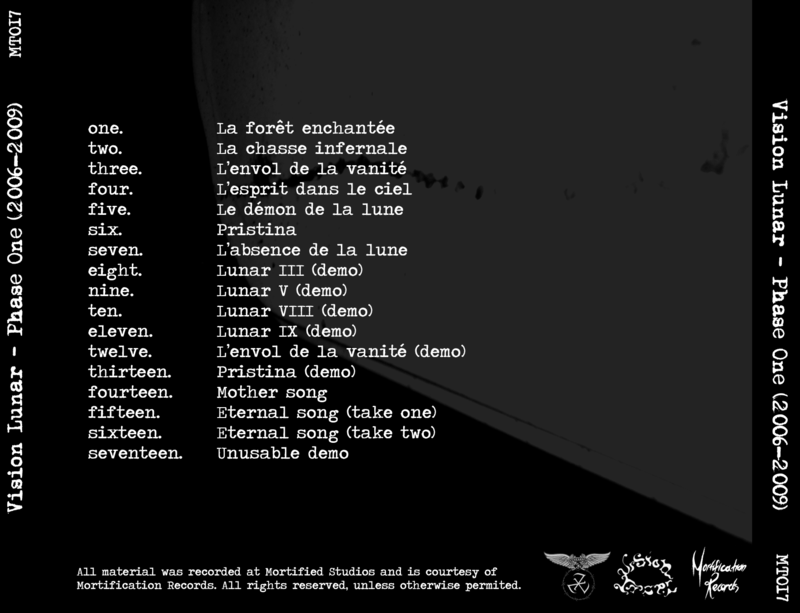 The back cover featured the Mortification Records logo, the Triskalyon logo and Frederique Rivard’s Vision Lunar logo. This was the first time that any Vision Lunar material appeared officially on CD. Although back in February and March of 2007, a very limited amount of Vision Éternel’s EP, “Seul dans l’obession”, were released for close friends and acquaintances on CD-R, some of which featured uncredited Vision Lunar songs as bonus tracks. Mortification Records ad for Vision Lunar’s “Phase One (2006-2009)”. On September 15th or 18th, WTF Metal Music writers Marc Andrew Landles, Marc-André Girard and Nicolas Boutet went over to Alexandre’s apartment to record an audio interview, intended to be transcribed and published on their website. There they received their copies of the discography CDs and proceeded with the interview. They published a review of “Phase One (2006-2009)” on October 4th of 2010. Although the discography CDs were ready in mid-September, the official release date was held back until October 6th of 2010, the anniversary of Vision Lunar’s inception. By then the five CDs had already been given away and Alexandre felt that this discography should be available to anyone. So it was posted online for free download, just as the original demos were. To promote the release, a special medley was mixed and titled “The Full Moon: The Best of Vision Lunar”. It was a fifteen minutes mashup of the best portions from each of the Vision Lunar songs and was posted on Youtube with the download information. An original edit of the song ran close to seventeen minutes but had to be cut down to fit Youtube time limitations. “The Full Moon: The Best of Vision Lunar” was eventually added as an unlisted bonus track on the digital version of the compilation. Since its release, “Phase One (2006-2009)” has been downloaded over four hundred times (as of the summer of 2015). Due to poor sound quality, the recorded interview with WTF Metal Music had to be scrapped. Instead they conducted a second interview with Alexandre over MSN Messenger on October 10th, which also simplified the transcribing process. This version of the interview was published on November 1st of 2010. On January 1st of 2011, a commemorative Vision Lunar Facebook page was created, also promoting the recent compilation. But the status update remained the same as on the Myspace page, reading “This moon is dead.”. 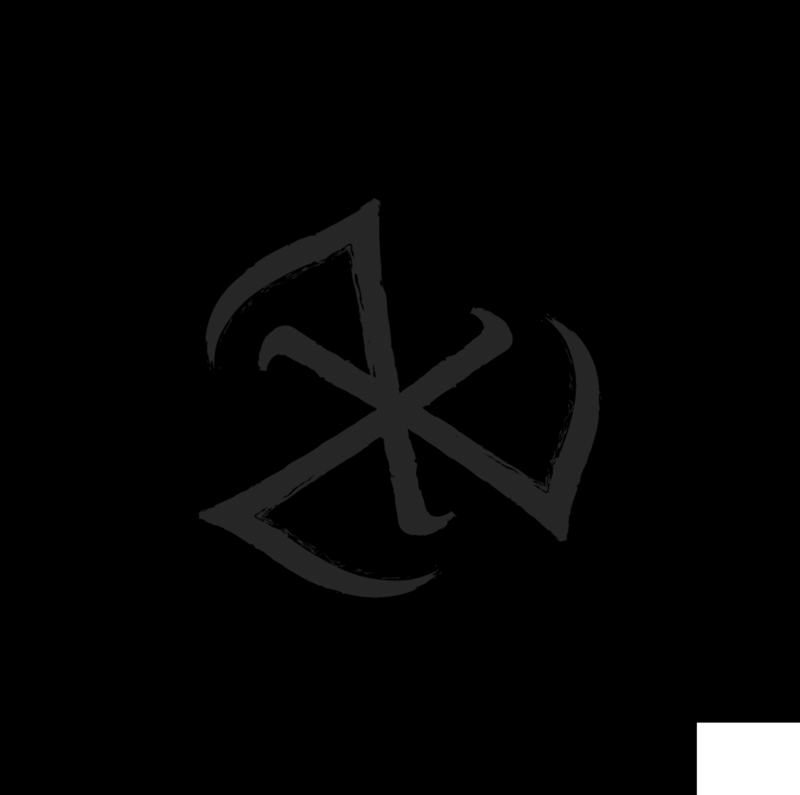 In February of 2015, Alexandre started demoing new atmospheric metal material again. But with no immediate plans the songs were stored in a folder and forgotten as he dedicated his time to Citadel Swamp, an ambient band with Valerio Orlandini (from Symbiosis and Norv). When he found the work-in-progress demos of these two songs in August, he suddenly got the idea to finish recording them and revive Vision Lunar. This opened up the opportunity to reissue the discography on another limited run of CDs. Over the years, Alexandre came to realize that a few mistakes were made by rushing Vision Lunar’s discography compilation in 2010. To begin with, the back cover stated “All material was recorded at Mortified Studios”. In fact, only twelve of the seventeen songs were actually recorded at Mortified Studios. The five songs recorded in 2006 were recorded prior to Mortified Studios existing. Then there was the omission of “Bouncing Harmonics Song”. While only a work-in-progress demo, the song had been filed in another band’s folder since it was recorded in February of 2007, and was not found until March of 2014. A few song titles were also incorrect; “Lunar XII” (listed as “Lunar VIII”) and “Lunar XIII” (listed as “Lunar IX”). Finally, the track order was not entirely chronological. The compilation started out with all seven released demos, in proper order, but the remaining ten b-sides and work-in-progress demos were shuffled around. Vision Lunar “Phase One (2006-2009)” reissue, Abridged Pause Recordings (APR12), August 29th 2015. Back cover. 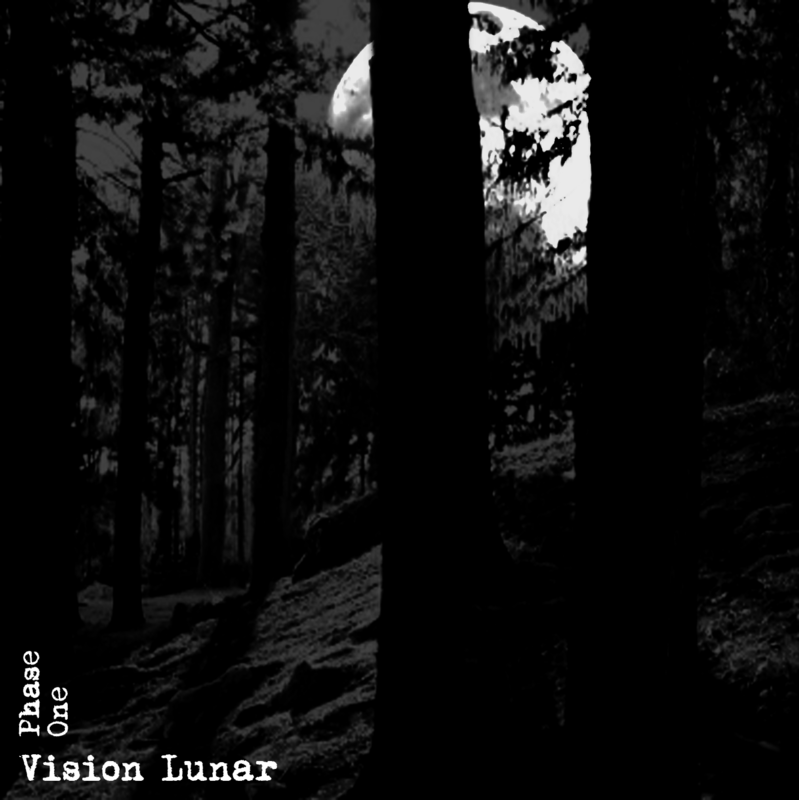 Ad for Vision Lunar “Phase One (2006-2009)” reissue, Abridged Pause Recordings. Another thing that actually made Alexandre uneasy was that he purposely left all the work-in-progress demos unedited. Some of these featured random jams and note finding/testing at the end or in the middle of the songs. He was well aware that this took away the professional aspect of the release but at the same time he was determined to give the fans everything Vision Lunar recorded. This was something he wasn’t going to change with the reissue. But the tracklisting and artwork was upgraded and a new limited batch of CDs is now available through Abridged Pause Recordings (catalog APR12). 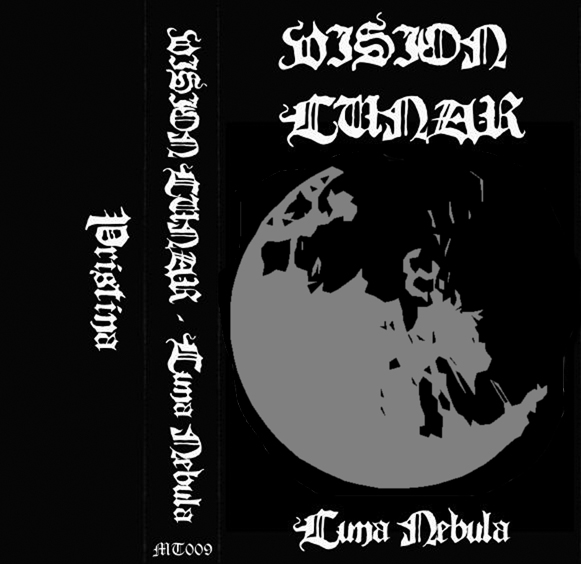 Vision Lunar’s future plans include releasing a new EP, “Luna Subortus” on September 28th of 2015, which happens to be both a full moon and a lunar eclipse. Alexandre also hopes to follow up with monthly releases, but is putting no pressure on himself. The new Vision Lunar material will be released as it is ready, but still and always on a full moon.